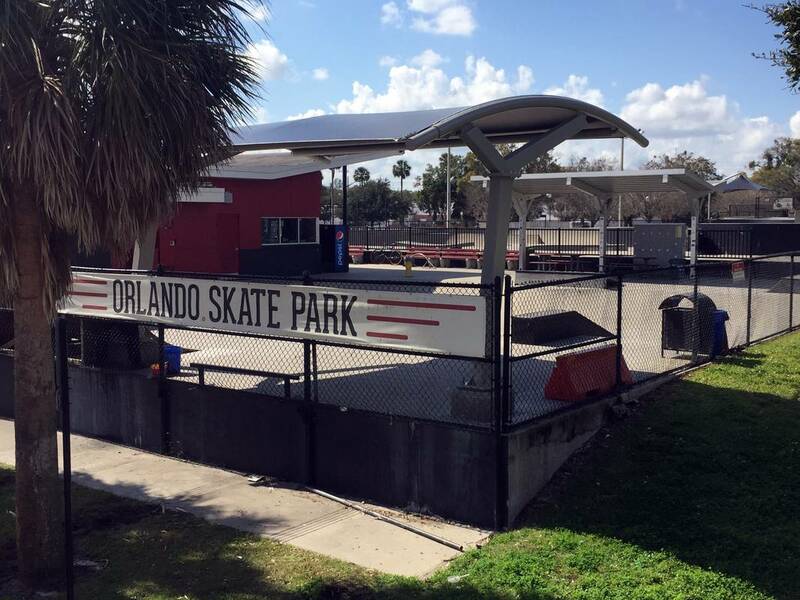 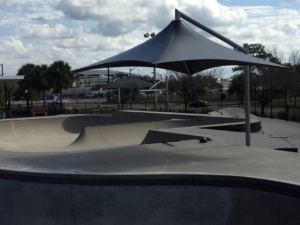 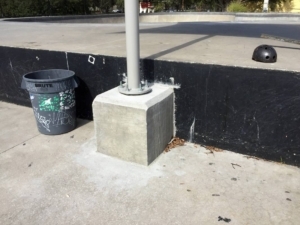 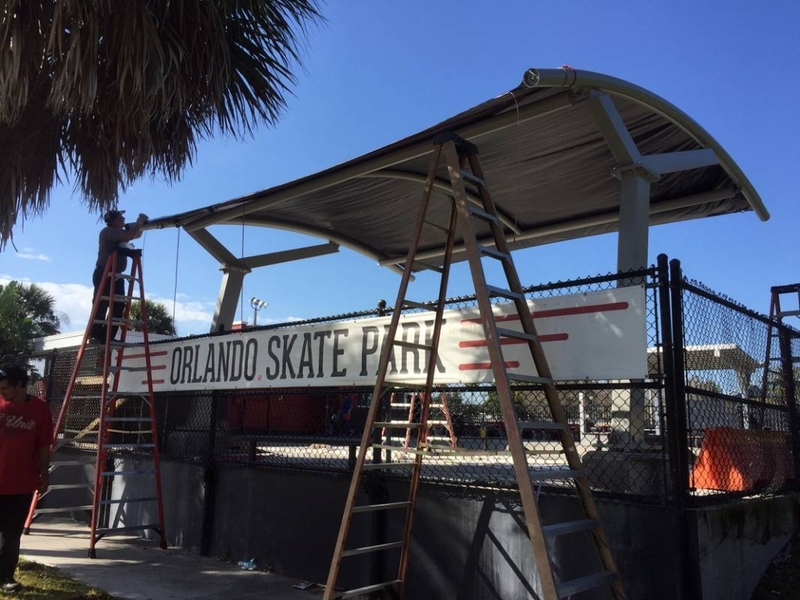 The Orlando Skate Park wanted to find a solution to shade their patrons from the blistering Florida summers and the concrete skate park. 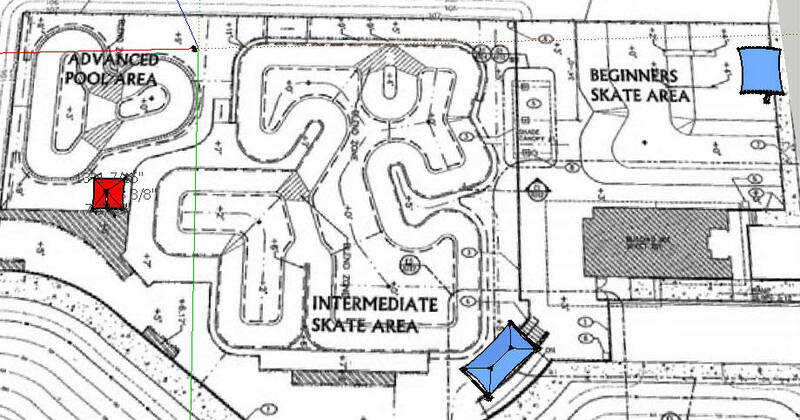 They wanted a shading solution to be both functional but also in keeping with the minimalist design of the skate park. 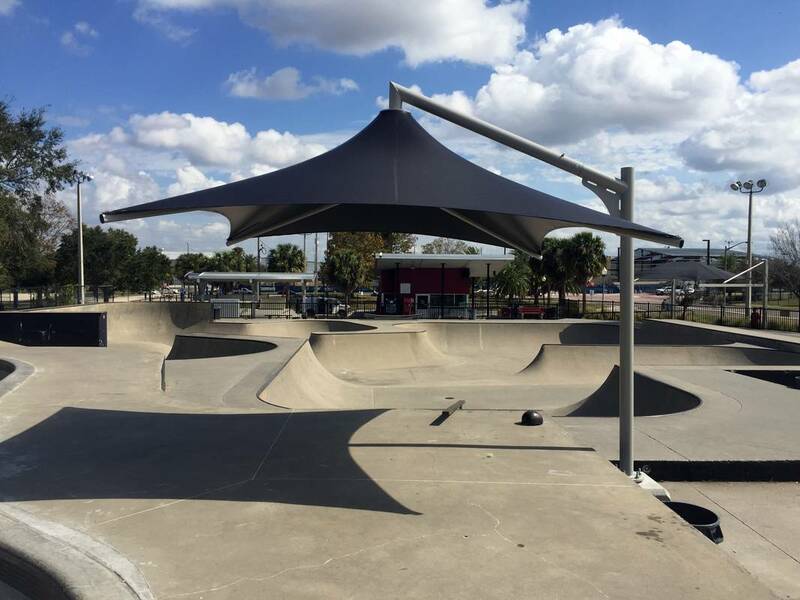 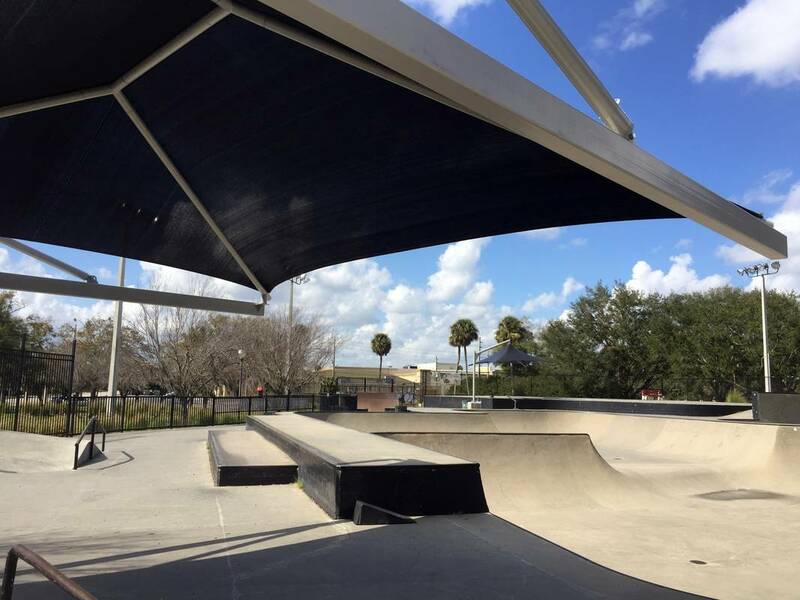 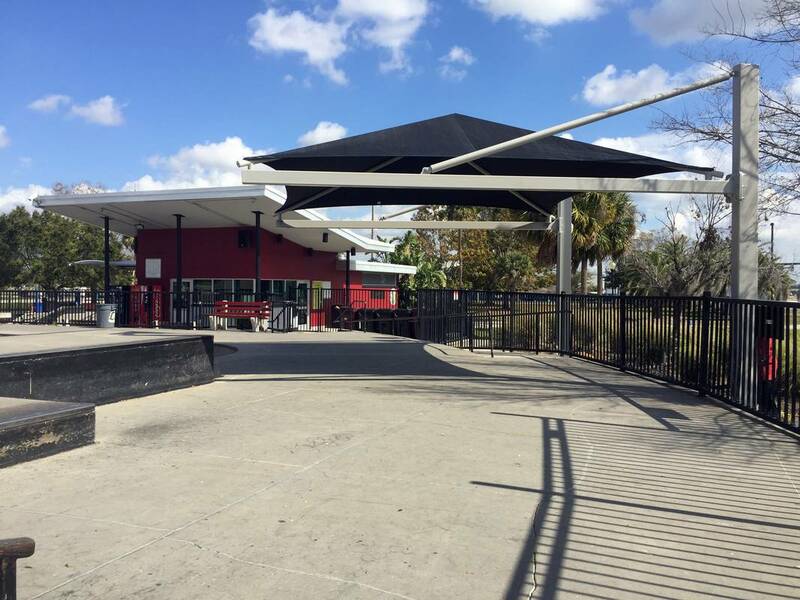 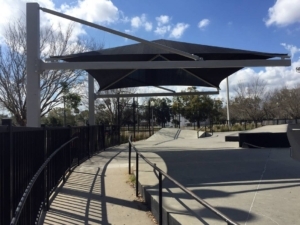 The Wavecrest shade structure, a suspended cantilevered shade structure and a 16′ umbrella all covered with black fabric were placed throughout the park to offer a cool respite from the harsh Florida heat.